At Hannover Messe, Siemens presented numerous additions to its Digital Enterprise portfolio for the next level of digital transformation in the discrete and process industries: „Through the integration of cutting-edge technologies into our portfolio, we can help industrial companies to benefit from rapidly growing data volumes in new, wide-ranging ways. With the use of technologies such as artificial intelligence, Edge computing and additive manufacturing, we are paving the way for the future of industry. We are also rethinking process control technology and introducing the innovative web-based Simatic PCS neo process control system,“ Klaus Helmrich, Member of the Managing Board of Siemens AG and CEO of Digital Industries, explains at the press conference for the Hannover Messe. Under the slogan „Digital Enterprise – Thinking industry further!“ Siemens demonstrates how companies of any size can use industry-specific solutions to increase their flexibility and productivity and to develop new business models. „Innovation partnerships between large companies and SMEs are just as essential as cooperation between business, science and politics,“ Klaus Helmrich notes. The basis for these cutting-edge technologies is the availability of data. Through digital twins, which map and link together all the steps of industrial manufacturing in a virtual world, comprehensive data pools can be created. „The crucial factor is using the data from the digital twin of the product, production and performance in an innovative way that creates new potential for productivity. When automation, software, hardware and cloud platforms as well as cutting-edge technologies are integrated and combined seamlessly, the data can be converted into valuable knowledge – increasing performance and flexibility. 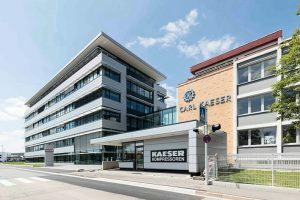 This is the next step of digital transformation,“ Klaus Helmrich explains. One example is a new module with an integrated AI-capable chip for the Simatic S7–1500 controller: through the use of machine learning algorithms, robot-based handling processes can be optimised, for example. For the learning process, artificial intelligence (AI) requires large volumes of data. And this data is only available if processes have been digitalised and linked together seamlessly. With Industrial Edge, Siemens has extended its Digital Enterprise automation platforms – Simatic and Sinumerik – to include a data processing solution on the shopfloor. With its scalable concept from the shopfloor to the Mindsphere open, cloud-based IoT operating system, Siemens is creating a renaissance on the shopfloor. For process automation, Siemens is breaking new ground at the Hannover Messe and introducing a new innovative process control system. 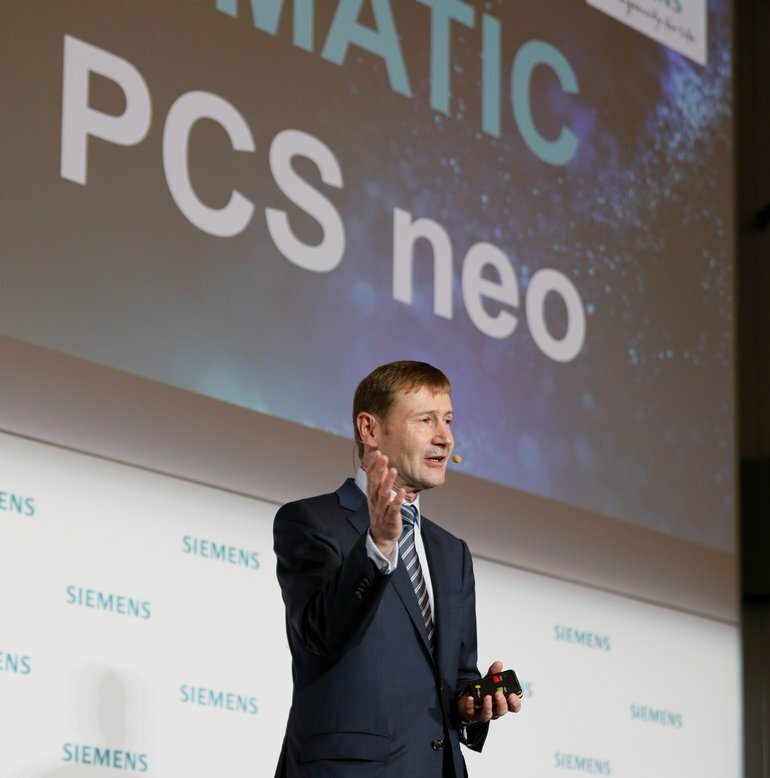 With Simatic PCS neo, Siemens is presenting a brand new system software package, which offers companies in the process industry new opportunities in the age of digitalisation. 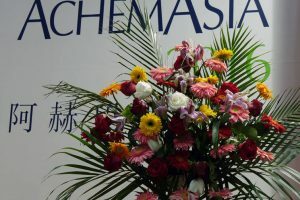 This includes global web-based cooperation in engineering and operations as well as unique usability with a seamless object-oriented data model and an open system architecture. 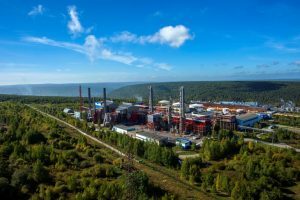 In addition, the system offers the option of scalability from small process modules through to the largest process plants in the world. Simatic PCS neo uses the recently developed hardware portfolio and application architecture of the powerful, comprehensive Simatic PCS 7 V9.0 process control system. Siemens has used 5G communication standard from the outset and is supporting standardisation and industrial implementation through the development of an appropriate portfolio. Siemens is also running its own research projects for Industrial 5G and establishing several 5G interoperability test centers under actual OT conditions. This includes the evaluation and testing of available industrial standards such as Profinet or TSN (Time Sensitive Networking).